For those that remember the packaging trends from the 70’s and 80’s, branded packaging faced a front on challenge with the introduction of generic packaging. Designed to make products as cost effective to consumers as possible, packaging was stripped down to its barest essentials – name, content, and UPC. No effort was made toward branding or in communicating product features or benefits. As the demand to strip packaging down to one color and a product name diminished and generic products increasingly faded from shelf, they were replaced with store or house brand packaging as a competitive alternative to major brands. Store brands really didn’t differ that much in content or composition from generic packaging but they did differ in that they were manufactured and sold specifically within a retail outlet, bearing the name of the store as its “brand”. Store brands were not as cost conscious as generic products, but neither were they quite as refined as branded products. Initially, store brand packaging was notably different from major food brands in its design, observing a respectful differentiation to national brands. As store brands became more prevalent, the design trend increasingly shifted toward developing packaging design that was very close to branded designs, replicating colors, and product visuals, and sharing many of the same positioning premises. 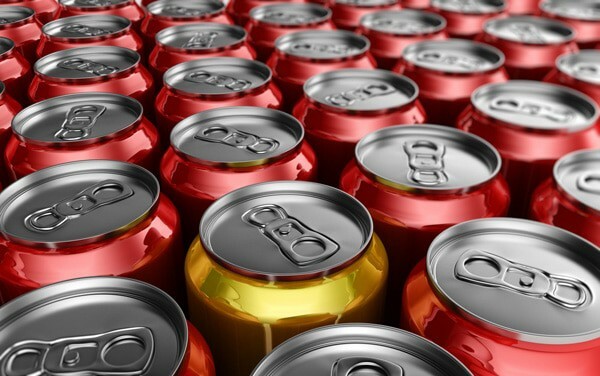 The belief remains to this day that the national brands are better than the less expensive store brands, but as most in the packaging industry understand, it is the same product for all intents and purposes. Of late, I have noticed yet another shift in packaging from one of the major store brands in our area, moving from package designs that heavily echo the national brands they are competing with, to putting packaging on shelf that is positively disruptive in the category. 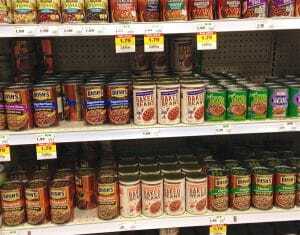 For example, Bush’s Baked Beans owns the baked bean category where we live. They have created a phenomenal branding system that through its consistent use of a strong design grid, and the smart use of color to subcategorize product groupings within the full product line, manage a wide portfolio of products. However, what stands out in this well-curated packaging line? The store brand! 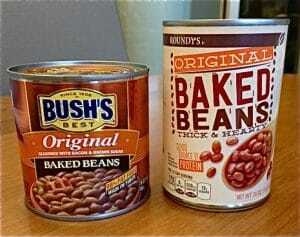 The store brand package has become immediately competitive with the Bush’s product, no longer appearing to be the second rate alternative. Admittedly, the store brand package has borrowed from the color palette used by Bush’s, but that is pretty much where the similarity ends. The overall design is clean, contemporary, and finished. It contains all the key prompts that the Bush’s brand has and in many ways is easier to read. It is less glitzy, but the package communicates “wholesome” and “good for you” – which is what consumers are looking for. Product photography is clean and sharp, and to me, has greater visual appeal than the Bush’s package which appears comparatively subdued. The balance of the package has a very user-focused approach; instead of telling the family history, the rear panel focuses on best use and storage in an easy-to-read format. I applaud the efforts behind the improvement in this store brand packaging line; it has created the same if not greater visual appeal in the competitive war for awareness on shelf and has succeeded in shaking up my shopping habits.